Sales promotions can drive particular revenue goals, so knowing how to effectively use coupons is beneficial. While not all types of businesses are suited to the use of coupons, having a good understanding of this type of marketing can still stimulate ideas. 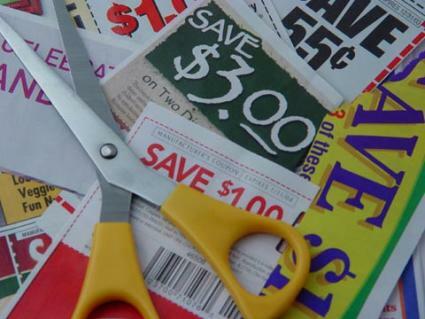 Are Coupons Right for Your Company? How do a hair stylist and a computer repair service differ? Technically, both are service-based businesses. However, the computer repair service will more than likely have a clientele that features both general consumers and businesses. For one business to offer another business a coupon on services is, well, bad business. A coupon is a better marketing vehicle for consumer product businesses, restaurants, retailers and certain travel-based companies. Consumers are more often searching for discounts and issuing coupons is one way to capture their attention. So to effectively use coupons, understand the buying habits of not only core customers, but also those you wish to attract. Help transfer customers to more Web-based purchases with your company. Attract a very specific segment of customers. Soften the impact of a price increase. Give the sales force a new tool with which to attract new customers. Cross-sell your businesses' other products or services. Encourage new customers to become repeat and/or frequent customers. Boost sales for a particular sales cycle. Introduce a new product or service. Fixed costs, such as design and printing. Variable costs, such as the number of coupons produced and the distribution channel. If this is an online mechanism, you're already saving money, as there is extremely little overhead like this involved, if any. Identifying the distribution method and cost. Obviously, coupons offered at time of purchase will have a higher rate of return than mass distributed in a newspaper, plus save money. A realistic redemption rate. The general rate of redemption falls between two and eight percent. Some factors drive these numbers even higher, but that base is a good starting point. Percentage of sales that would have happened anyway. Once the promotion is complete, base the measurement of its success by answering the objective questions above with qualified data. Cross-promotion through a companion business can often be a lucrative partnership. By pooling resources and marketing strategies, companies that share similar customer profiles maximize the potential of coupon marketing while reducing general costs. However, know the other business well, trust its owners share your customer service philosophy and don't make the promotion too complex. Unfortunately, coupon redemption is never guaranteed. Some people use coupons to determine their every purchase, from baby formula and soft drinks to gas purchases and choice of hotel. Others never use coupons, no matter how attractive or sensible the offer. So it's best not to think of coupons as a magic bullet, rather as one component in a tiered business marketing plan. Customers who use coupons simply for the bargain but won't return unless you keep offering discounts. The offer is used for what regular customers already purchase, so your company has gained nothing. Clerks or fulfillment staff uses the coupon improperly or for the wrong product. Cost of the coupon program is too high and isn't offset by new sales. Knowing how to effectively use coupons is a clear-cut strategy: identify the target audience and objectives for the promotion, track the response and measure the results. In time, your marketing analysis ability will become more astute and the sales promotions you create will continue to build your business.